By: Erik Hyrkas on August 15, 2012. A long nervous four days it has been for NASA, as Mars rover Curiosity underwent a software update. The “brain transplant” transitioned Curiosity to surface mode from landing mode. The hold-your-breath moment could be easily compared to Android rookies doing their first root, as the update included a short time where Curiosity’s instruments were non-functional. 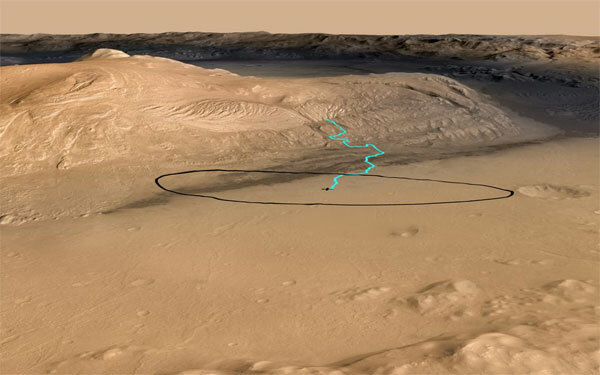 Included improved were operations for Curiosity’s robotic arm and driving capabilities. NASA says the first test drive will be on day Sol 13 (the 13th Mars-length day), and it will only be a couple meters followed by a turn around. If you can’t wait for that, we recommend seeing the sights. Last updated by Erik Hyrkas at July 16, 2013 .